Writers, got knowledge? Great! The trick is to share it and get paid for it. 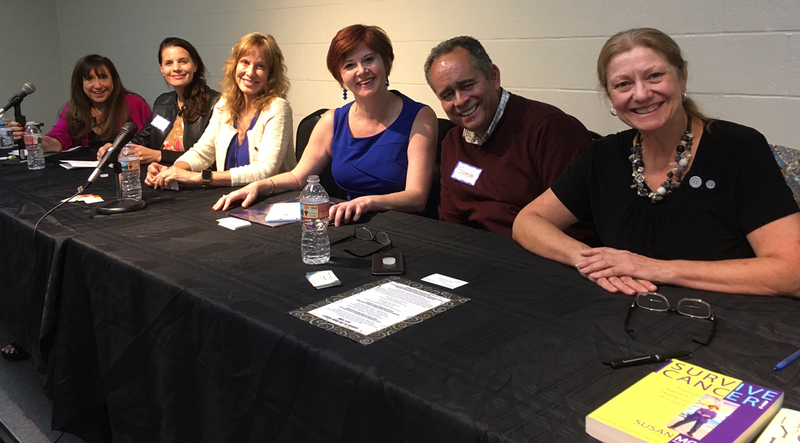 Our panel of experts and authors will give you the how-to on how-to books. For authors, that means writing up all your advice, tips, hacks. and instructions, putting it into a manuscript and preparing it for publication. Have you guided families as they dealt with autism/dyslexia/ADHD, or counseled people struggling with depression or addiction? Books on all those subjects have made the bestseller lists. Do you know decorating from the inside out, or antique conservation techniques from a career spent in museums and galleries? Readers crave this type of advice. Can you share weight-loss and health advice accrued as a nurse, doctor, or counselor? No matter how many books are out there, the one you write can be unique. Did you earn your PhD from Harvard, and can you write about how to manage money? Or maybe the financial lessons you write about will be from the School of Hard Knocks. Both books can help readers, so get writing. Can you compose a book about your technical skills or a software program, and make those easy to understand? Maybe your book is a treasure-trove of your great-grandmother’s old country recipes that you’d like to share with the world? Now it’s time to write the book! How do you translate the useful (but often dry or technical) advice into something commercial, reader-friendly, zingy, and irresistible? How to effectively BRAND yourself as an”expert” and build your platform, so that your book proposal attracts agents, and publishers, rather than ending up on the slush pile? How to take your brand public, through social media and marketing, and sell more books. What did Julia Child, Martha Stewart, Wayne Dyer, Tony Robbins, and Dr. Phil have when they were first starting out that you might not yet? Freelance magazine writer, endurance athlete and personal trainer. She has written the book Growth Mindset for Athletes, Coaches and Trainers, to be released October 10, 2017. You can learn more about Jennifer Purdie.com at JenniferPurdie.com. A project catalyst, Debra works with individuals and small businesses to strategize, set goals, and manage their projects. She is the creator of Write On Online, a website and community for writers, creatives, and entrepreneurs, and author of Write On Blogging: 51 Tips to Create, Write & Promote Your Blog. A leading eating disorders expert and the founder of Rebecca’s House, a transitional living residence for women recovering from eating disorders. She is the author of Diets Don’t Work, a recovery handbook. You can learn more about Rebecca Cooper at RebeccaCooper.com. Steve has placed his clients’ works with Dutton, Thomas Nelson, Tyndale, Potomac, David C. Cook, Praeger, Writer’s Digest Books, and others. Several clients have won prestigious awards for their works. Author, speaker, master book promoter, and award-winning film and television writer. Her new book is How to Live Like a Millionaire When You’re a Million Short. Book coach, editor, ghostwriter, publishing consultant with over 25 years in book biz. Her clients’ self-help books include I Heard Your Dog Died, Diets Don’t Work, the best-seller The Detox Solution. Robin’s website is: WritingAndEditing.biz.